On Monday, it was announced that Berkshire Hathaway had reached a deal to acquire Precision Castparts (PCC) for $37.2 billion – one of the largest aerospace & defence M&A deals in recent memory. The size and scope of the deal is quite remarkable. Warren Buffett’s firm is paying more than three times the FY 2015 sales of PCC which was $10 billion. 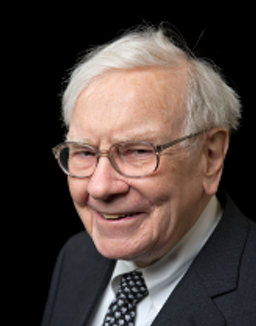 Why is Buffett (the “Oracle of Omaha”) paying such a premium for a an aerospace supplier? In a fragmented marketplace, PCC stands out among the competition in engine components and aerostructures; PCC has a record of achieving exceptionally high returns as a Tier 1 supplier in engine components and a Tier 2 supplier in aerostructures. The company has consistently achieved high margins in its engine components business and it looks as though it is achieving high margins in aerostructures (traditionally a less profitable business), in which it has been growing rapidly through acquisition (for more details see our reports on aerostructures and engine components). Of the 169 suppliers we profile in our Aerostructures 2015 report, PCC has achieved the highest margins. It is impressive that Precision Castparts has achieved such high margins through extracting the value from numerous acquisitions over the past few years (in aerostructures alone, PCC has acquired 10 companies in the past 10 years). Berkshire Hathaway’s acquisition of Precision Castparts is an endorsement of the latter’s strategy and the civil aerospace market in general.